- Spend 2 resources to add a Battle Droid (9) to your team. Discard this support from play. 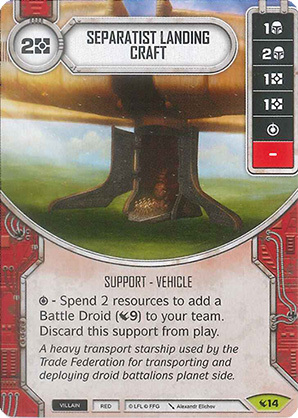 A heavy transport starship used by the Trade Federation for transporting and deploying droid battalions planet side.